Guitarist David Williams, whose recording and touring credits include Michael Jackson, Madonna, Paul McCartney, Marvin Gaye and The Temptations among countless others, died last Friday at age 58. Williams, a native of Newport News, Virginia, was admitted to the Sentara Hospital in nearby Hampton after he suffered a stroke on 2 March. He fell into a coma and later died of cardiac arrest. 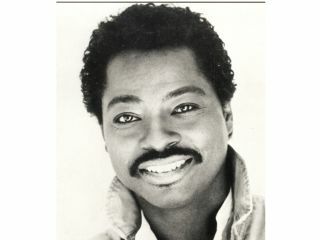 Having started his career at the age of 18 with The Dells, Williams went on to play with The Temptations. Real success proved elusive until he hooked up with producer Quincy Jones, who heard something in Williams' understated rhythm playing. After Jones utilized Williams' signature sound on Michael Jackson's Off The Wall and Thriller albums, Williams became one of the most in-demand LA session guitarists in the '80s and '90s. This journalist had the pleasure of knowing Williams. As a person, he was gentle and easy-going, loved to laugh, adored pasta with mussels, and never once boasted about his success. He always referred to his guitar playing as "a little bit of secret spice. You don't need much of it, but the right amount gets the job done." Williams is survived by four children with his ex-wife Deborah. He will be missed.